Handball Score Sheet [Notice] This App support over iOS5. If you use iOS4.x, please download after updating iOS. This is Handball game scoring App. You can analyze scorer, shoot type, success rate, fouls in game. You can analyze the game with outputted files. Please use this App for power up your team. [Support] 209crc@i.softbank.jp https//twitter.com/209crc Please contact me in English or Japanese. Check these links to find your download for HandballScoreSheet for & iOS or for your device iPod TouchiPadiPhone. 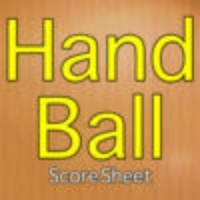 The app HandballScoreSheet is compatible with te following devices.